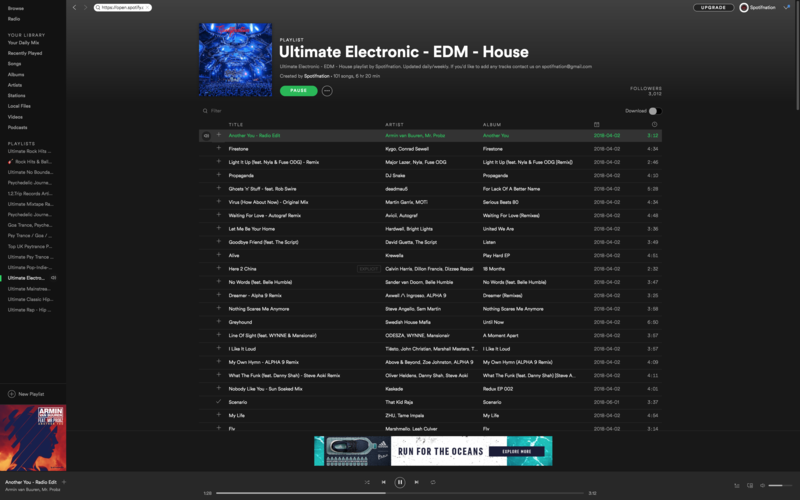 I will place your Electronic EDM, track on Ultimate Electronic-EDM-House ,popular and public playlist for 1 month.There are over 3K active listeners at the moment and still growing. Plays ,monthly listeners and possible saves are guaranteed (can't guarantee any specific numbers, that all depends on how popular and engaging your track is). This playlist is strictly genre specific and we will only accept tracks that fit Electronic/EDM/House style.All other orders will not be processed. We will also be pausing this gig from time to time. Sptify Massive Electronic Edm Playlist Placement Over 3k Active Followers is ranked 5 out of 5. Based on 47 user reviews.